Home KBUNAI KBUNAI (3115) KARAMBUNAI CORP BHD Got An Ultra Rich Papa. KBUNAI (3115) KARAMBUNAI CORP BHD Got An Ultra Rich Papa. KARAMBUNAI CORP BHD (KBUNAI, 3115) is a listed company control by Ultra Rich Papa - Tan Sri Dr Chen Lip Keong. 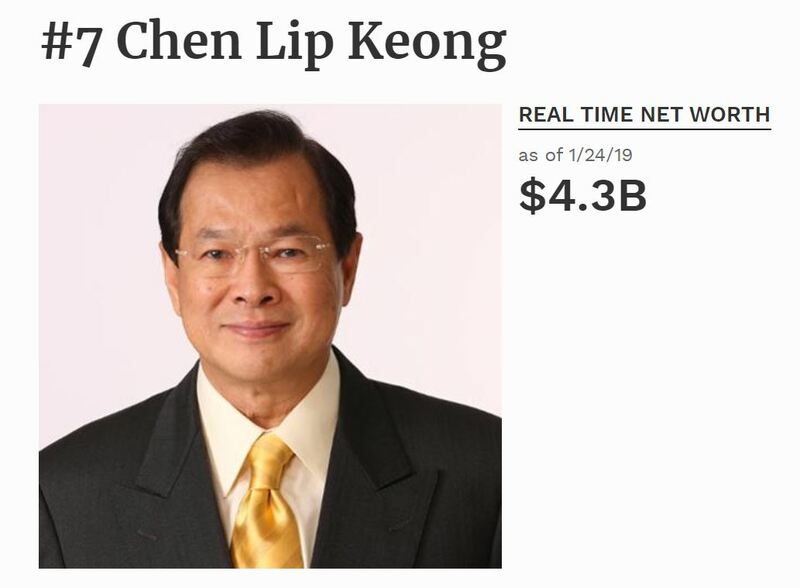 Tan Sri Dr Chen Lip Keong is Malaysia 7th richest man with net worth USD4.3 Billion (RM17.8 Billion). Tourism accounted for more than 12% of Cambodia's GDP last year -- and Naga has claimed a hand in 25% of it. "We try not to build monuments: We build jobs and contribute to socioeconomic development," says Chen. This story is part of Forbes' coverage of Malaysia’s Richest 2018. See the full coverage here. 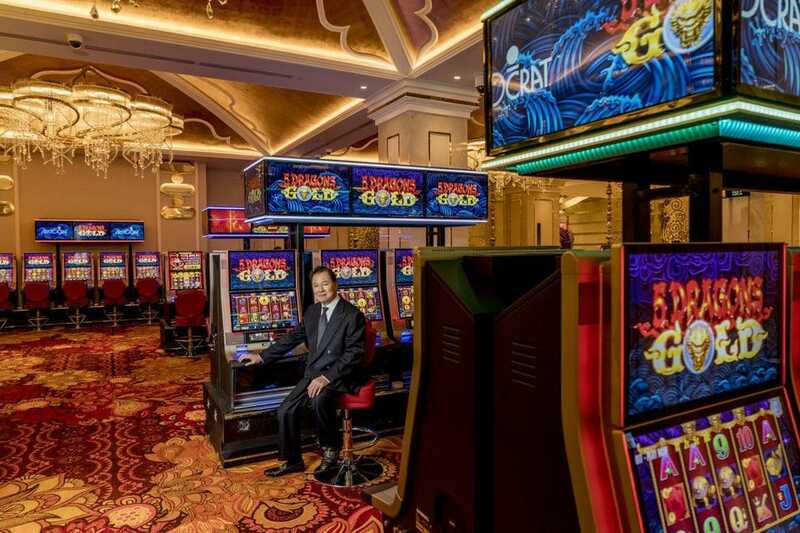 When Chen Lip Keong won Cambodia's first casino license in 1994, he had hardly ever stepped inside a casino. He'd been to Malaysia's Genting Highlands once on a date in the 1970s and visited Las Vegas once as a tourist. Casinos are "not in my blood; I'm not a gambler," he says. Yet today, renowned casino architect Paul Steelman calls Chen "one of the most powerful creators of these properties in the world." This self-proclaimed "accidental" gambling billionaire is the chief executive and majority shareholder of NagaCorp. Its NagaWorld casino-resort complex in the capital Phnom Penh boasts 1,700 guest rooms, 600 gaming tables and more than 5,000 gaming machines. Despite his gambling aversion, he bet $369 million of his own money to build Naga2, an opulent twin-tower extension opened in November that features nine floors of guest rooms for high rollers with adjoining private gaming rooms. And soon there'll be a 2,200-seat theater where Chen is aiming to host the likes of Lady Gaga, a favorite of his. The addition makes Cambodia and NagaWorld first-rank contenders in Asia's $51 billion casino market. Along the way this native of Malaysia has helped Cambodia recover from decades of upheaval. The country's gross domestic product has grown by 7.5% a year since 1994, putting it among the world's top performers. Only 118,163 people visited the country in 1993, according to the ministry of tourism; that figure topped 5.6 million last year, with 7 million expected by 2020. Tourism accounted for more than 12% of Cambodia's GDP last year -- and Naga has claimed a hand in 25% of it. Amid the rising tide of tourists, Naga is booming. Last year net profits soared 23%, to $255 million, on an 80% jump in revenue, to $956 million. VIP roll -- or losing bets -- more than doubled, to $21.1 billion, accelerating after the launch of Naga2. 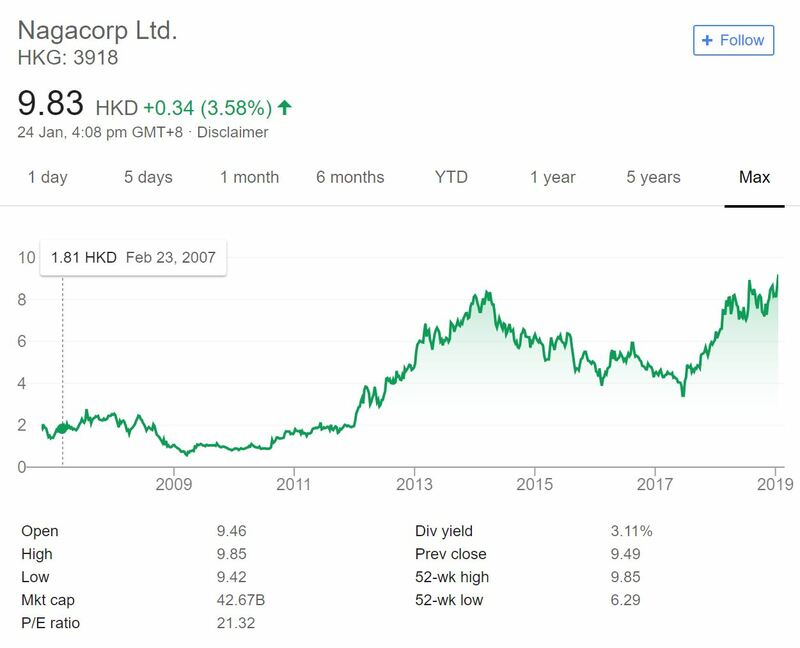 NagaCorp's $4 billion market capitalization represents an 11-fold appreciation since it listed in Hong Kong in 2006, and it consistently outperforms other gambling stocks. "We're antigravity," says Chen. Naga benefits from Cambodia's low labor costs and Chen's tight controls on capital expenditures. Naga says it spent $1.5 billion building the complex that commercial real estate specialist Colliers International now values at $5.4 billion. And, as he loves pointing out, Naga has no debt. All this is boosting his fortune -- he's worth $3.3 billion, up from $1.6 billion a year ago. Now 70, Chen is casting his net wider. He's building a casino in Russia's far east, and he's eyeing hotel and casino projects in Australia, Mongolia and Kazakhstan. Then there's a Borneo resort that's the keystone of a multibillion-dollar Malaysian government eco-tourism master plan to be led by his Kuala Lumpur-listed companies Karambunai and Petaling Tin. "I am in the springtime of my business career," he says. Chen grew up in the Kinta Valley tin-mining area, a second-generation member of an immigrant family from China. He trained as a medical doctor at the University of Malaysia and practiced briefly as a general practitioner, but felt that his real calling was business. 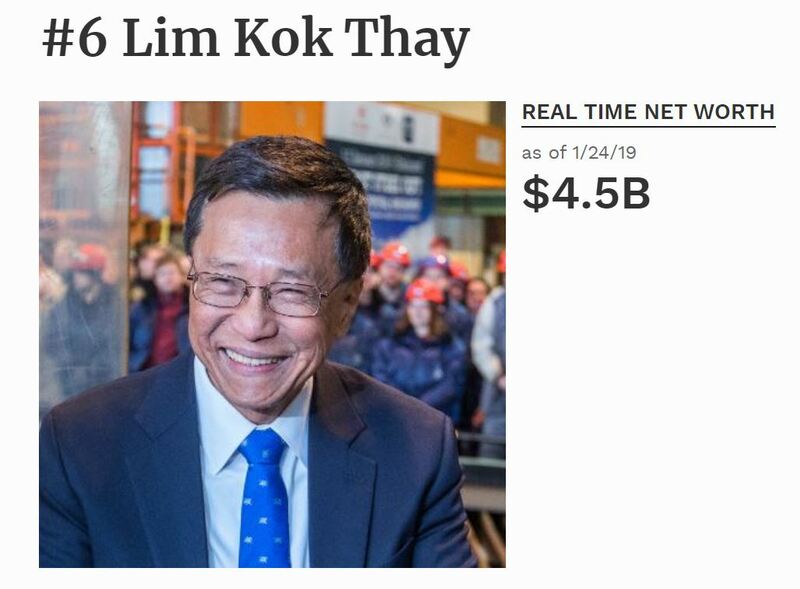 So he decided to go into property development and for a time also ran an aviation-parts company, producing components for Malaysia's government-backed attempt to produce planes. In the 1980s, Malaysia Prime Minister Mahathir Mohamad launched his policy of Prosper Thy Neighbor -- not beggar thy neighbor -- to encourage the country's predominantly Chinese business community to seek out what Chen calls "win-win" situations in other Southeast Asian countries. Cambodia was among the neediest -- Khmer Rouge rule in the late 1970s left an estimated two million people dead out of a population of eight million. Vietnamese troops overthrew the communist regime in 1979, but fighting persisted into the 1990s. Chen, now wealthy, arrived in the early 1990s. He saw Cambodia as a place where he would have to dig for opportunities, "a fish pond without fish," and planned to explore for oil in the Gulf of Siam. But following UN-supervised elections in 1993, the new government tendered a casino license. "It's not the business I chose, I planned or I envisioned," he says. But he viewed hospitality as a way to combine property development and a steady cash flow, and his company won the bid. "Gambling is a means to achieve a certain purpose and that purpose is tourism," he says. Chen's first casino was of the floating variety. 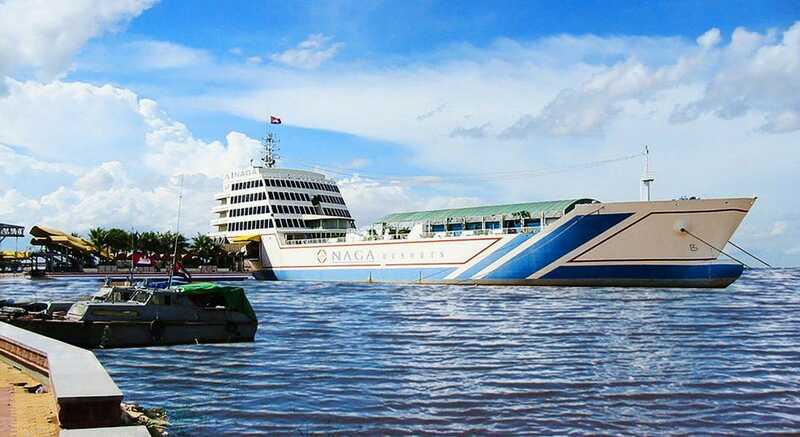 Naga launched casino operations on a leased barge on the Bassac River near Phnom Penh's Royal Palace in 1995. In 2000, Naga bought land near the barge dock and began building NagaWorld, and the casino moved onshore in 2003. Situated across a boulevard, Naga2 connects to the original via NagaCity Walk, a 3,800-square-meter underground shopping mall. "We try not to build monuments: We build jobs and contribute to socioeconomic development," says Chen. "We have contributed to tourism growth, raised the international investment profile, attracted FDI [foreign direct investment] and are the biggest taxpayer in the country." Chen, who now spends two thirds of his time in Phnom Penh and most of the rest in Kuala Lumpur, has certainly found a win-win situation with the Cambodian government. Naga's casino license is good for 70 years and includes a 40-year monopoly in Phnom Penh and everywhere else within 200 kilometers. "On the same hill you cannot have two tigers," he says, quoting a Chinese aphorism. The 70-year term is well beyond Macau's 20 years, but in many jurisdictions, including Nevada and parts of Australia, licenses never expire; they're valid as long as licensees follow the rules and pay their fees. The favorable conditions extend to taxes. Naga is exempt from Cambodia's 20% corporate-profits tax, and there's no gaming tax. Instead, it makes payments to the government that last year amounted to $8.12 million, only 3.2% of operating profits. The part of that payment based on gaming rises 12.5% a year but was equivalent to only 0.6% of gaming revenue last year, a fraction of the gaming taxes levied elsewhere in the region. 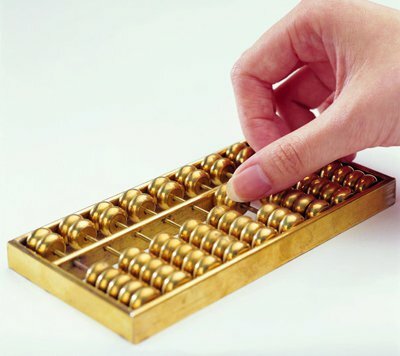 Macau charges a 35% gaming tax, and fees can add several more percentage points. Singapore takes 5% of VIP gaming revenue and 15% of mass market revenue, plus a 7% sales tax on both. Naga made additional payments to the government of $9.4 million in 2015 and $16.6 million in 2016 but hasn't announced an additional payment for 2017. Naga also funds a wide range of corporate social-responsibility programs. Naga Academy has taught trade skills and languages to thousands since 2012. The company guarantees jobs for all graduates, in its own company or elsewhere in hospitality. In addition, Naga created the Cambodia Sport Award, sponsors a national league football club and supports athletes training for international competitions. Chen's son, Chen Yepern, oversees much of this effort, visiting poor areas of Phnom Penh or provincial villages on weekends with Naga staff, distributing medicine, awarding scholarships or planting trees. Being a good corporate citizen may get a Malaysian casino owner only so far in Cambodia under the authoritarian regime of Prime Minister Hun Sen, in power since 1985. But Chen isn't worried. "This country means business," he says. "If you take away Naga's license, FDI would collapse. Our agreement with the government is highly visible, so taking away the license to give it to a third party [would scare] overseas investors. And the country does not want to chase away foreign investment. The annual budget depends on it." Chen says Naga has driven Cambodian efforts to enact a casino-gambling law that will codify and likely increase government oversight, and potentially raise tax rates. He expects it to be adopted before the election scheduled for July 29. "NagaCorp's legal casino license shall be protected by law as soon as the casino law is promulgated," he says. "This shows that foreign investors shall be protected." The casino law is the latest phase of Naga's 15-year quest to improve Cambodia's investment climate. The Singapore stock market rejected NagaCorp for a listing in 2003 because Cambodia lacked international-standard casino regulations and anti-money-laundering laws. Chen realized that to advance, Naga would have to raise Cambodia's game along with its own. He approached Timothy McNally, a former FBI agent and prosecutor brimming with Middle American earnestness, to help get NagaCorp ready to list in Hong Kong. McNally was wrapping up a stint at the Hong Kong Jockey Club, which handles $25 billion in bets a year. "I came down here and I truly didn't expect much," he recalls. "The founder's thinking is certainly what drew me," particularly the focus on improving regulation. "He wanted to see the development of the country and development of the company work in parallel. That struck me as something worthwhile." McNally, 70, became NagaCorp's chairman in 2005, and the next year it became the first gambling company listed in Hong Kong and, says Naga, the first company principally doing business in Cambodia listed anywhere. Chen says the $105 million initial public offering wasn't about international capital as much as international standards. After the Singapore rejection, NagaCorp hired global security consultant Hill & Associates to audit its anti-money-laundering efforts. Twice-yearly inspections became one of the conditions for Naga's Hong Kong listing. "H&A has discovered no significant lapses or weaknesses on the part of NagaCorp. Incremental improvements and adjustments that have been advised by H&A have been undertaken efficiently," the auditor tells Forbes Asia. Cambodia may be one of the most corrupt and least transparent countries in the world, but Chen insists on international best practices at NagaCorp. It follows a 50-page Code of Conduct & Anti-Corruption manual that helps it abide by local and foreign laws, such as the U.S. Foreign Corrupt Practices Act. "We are not a bunch of cowboys," he says. "We believe in the responsibility that has been given to us as an operator that we preserve the social sanity, the integrity which the country deserves." To raise Cambodia's game, the government adopted international financial standards, signed the global Financial Action Task Force protocols and joined its Asia Pacific Group to combat money laundering, as well as passed national financial-crimes statutes, all at Naga's urging. Though enforcement is spotty, "the company operates as if it were in a heavily regulated jurisdiction," says Grant Govertsen, managing director in Macau for boutique investment bank Union Gaming Group. Cambodia's reputation made financing Naga2 difficult. McNally says international bankers offered $175 million, less than half the amount needed, at 16% interest, four times the then-U.S. prime rate. So Chen funded construction himself through a convertible-bond arrangement with the company. The conversion, finalized last August, gives him 65% of NagaCorp. These days Naga is doubling down on the China market, supplementing its Southeast Asian base. It's declaring itself "China ready" with more Mandarin-speaking staff, a lavish Cantonese restaurant in Naga2 and more deals with Macau's mainland-focused junket promoters. Naga has raised betting limits at VIP tables through revenue-sharing arrangements with junkets, spreading the risk. For the mass market, the source of most of NagaWorld's profits, main floor baccarat bets start at a pricey $100 for so-called "squeeze games" in which players can handle their cards themselves. To recruit this crowd the company engaged state-run China International Travel Service to market tours to second-tier cities Changsha, Hangzhou, Xi'an and Qingdao, flying via Naga-affiliate Bassaka Air's three-times-weekly service. Bassaka also flies daily to Siem Reap, site of the Angkor Wat complex often included in tour itineraries, and twice weekly to Macau. CITS subsidiary China Duty-Free Group is NagaCity Walk's anchor tenant. "With the wave of consumerism in China -- a lot of energy there, and we are on the doorstep of China -- we can squeeze a lot out of China," says Chen. He says he envisions Naga -- a pan-Asian term for dragon -- encircling China with gambling and non-gambling resorts, utilizing its frontier-market skills honed in Cambodia. It's broken ground for a casino hotel outside Vladivostok, and at last September's Eastern Economic Forum, Chen lobbied Russian President Vladimir Putin to "punch through" a railway to Vladivostok from Harbin in northeastern China, the casino's target market. There's no word on whether Putin is on board. Naga has met with government officials about developing hotels in Mongolia and Kazakhstan. And it's intrigued by the casino-resort license offered in Australia's far northern Queensland near Cairns, where Chen envisions a 1,700-kilometer (1,056-mile) rail link from Brisbane. But closer to home, NagaWorld remains focused on the 650 million people in Southeast Asia, and executives are already talking about Naga3. Chen may never have intended to become a casino mogul but NagaCorp's success is no accident. KBUNAI sharep price closed at 5 years high today. 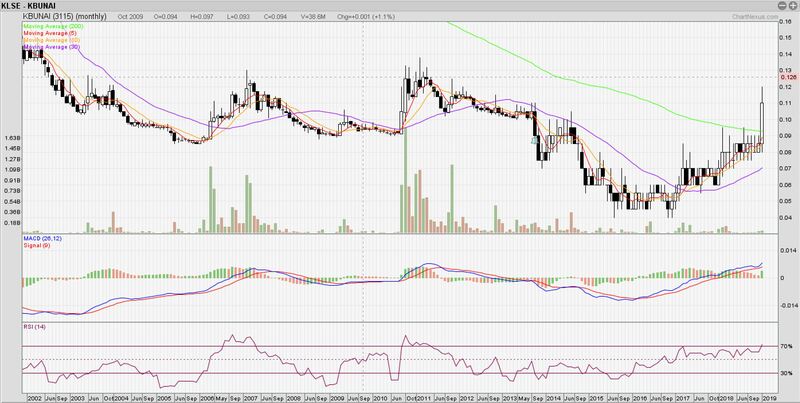 What trigger the buying interest in KBUNAI ? Maybe because KBUNAI got an Ultra Rich Papa !! !